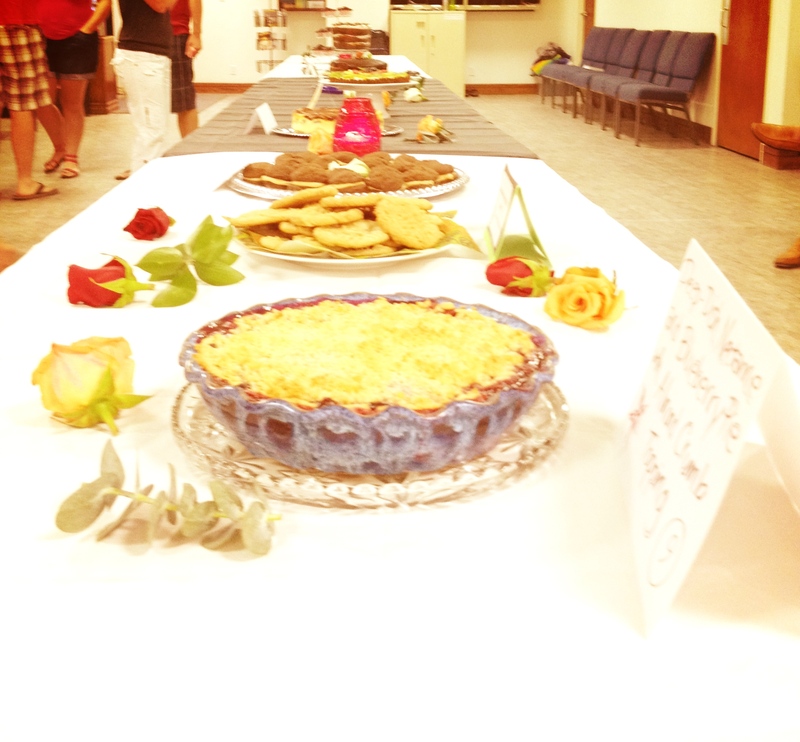 We had a dessert-off at our church. 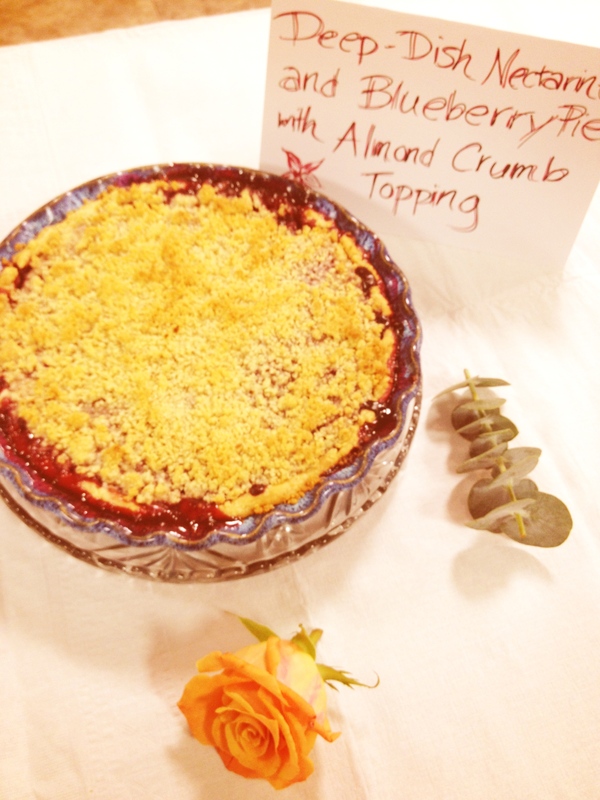 A dessert-off is what it sounds like…a free-for-all contest in which any dessert may be entered. No parameters. What kind of pie would you make in this situation, given 212 recipes to choose from? I was at a loss. Should I make a chocolate pie? 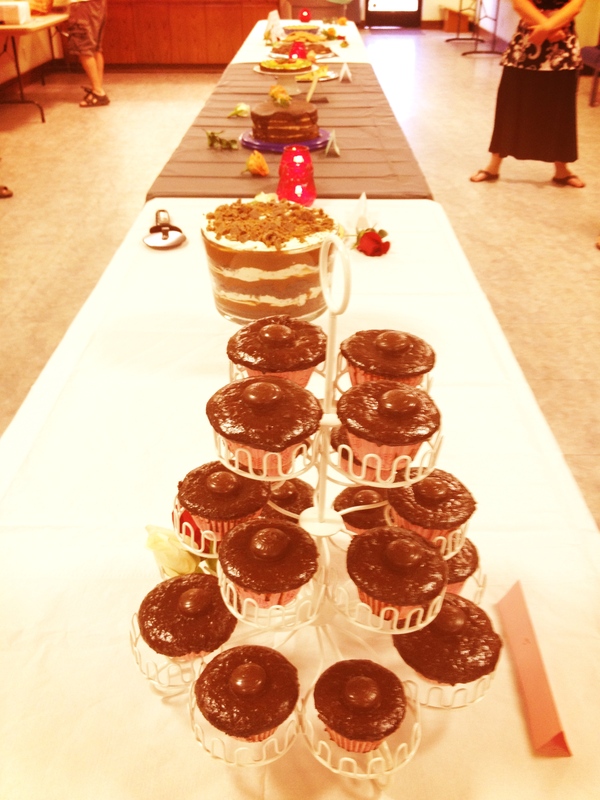 Everyone likes chocolate…but then again, I was sure many of the desserts would be chocolatey. Nectarines were in season (this was at the very beginning of September. California seasons.) I also like nectarines a lot. I decided that I wasn’t going to find one pie that would please everyone, so I might as well pick one that pleased me. Added some blueberries, to please the hubby. Now normally I don’t give away my secret ingredients so easy. 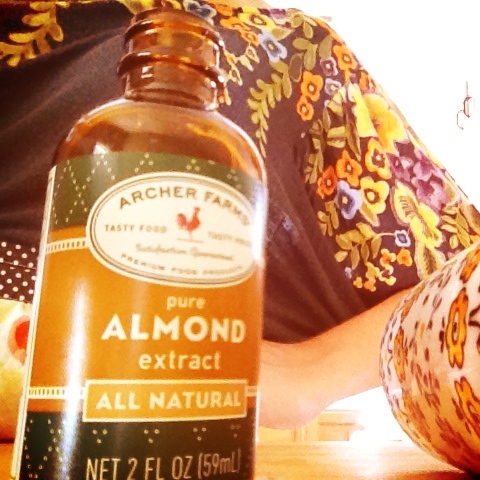 But as this recipe is neither mine nor a secret, being as it’s published in Ken Haedrich’s Pie, I’ll just go ahead and tell you that the key to success here is almond extract. Don’t skip it. 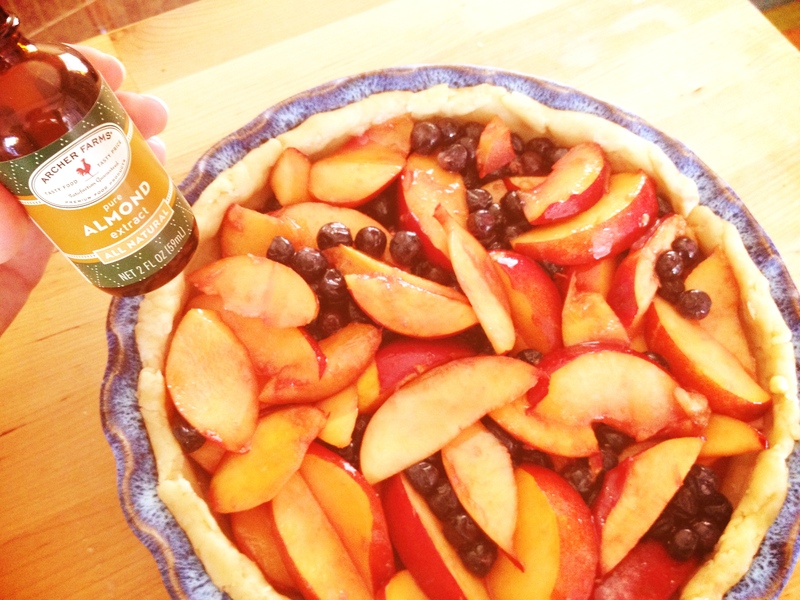 Deep Dish Nectarine Pie with Almond Crumb Topping arrives at the dessert-off and nervously checks out the competition. There are an array of other tasty and beautiful desserts around, from cupcakes to tarts to cheesecake and beyond. But lo! What treachery is this? 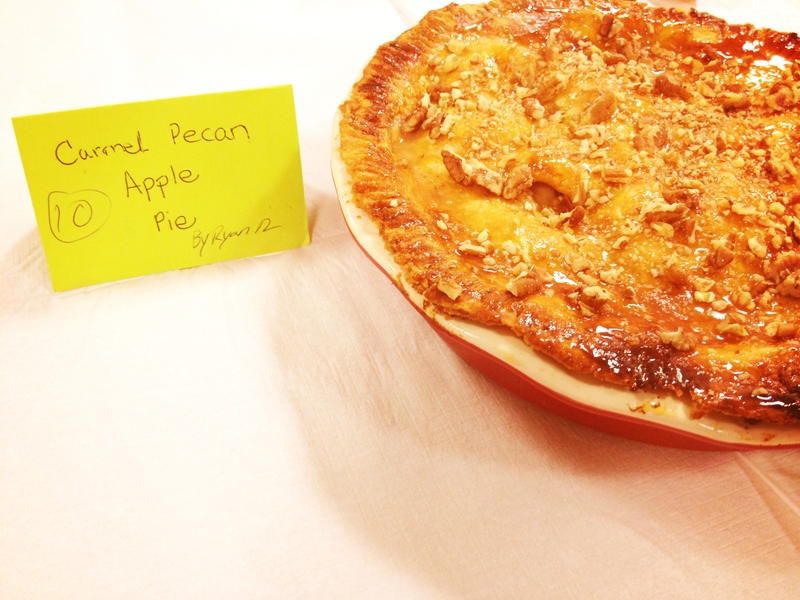 A decadent-looking Caramel Apple Pecan Pie made by an aspiring young pastry chef? What does this mean for poor Deep-Dish Nectarine? It means that the competition will be stiff. Well done, young pie Jedi. I have my eye on you. 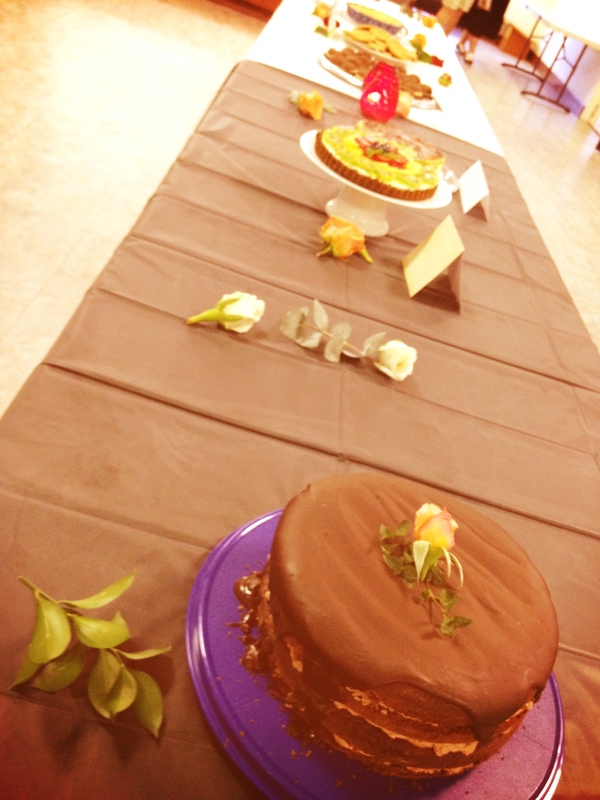 Although neither pie took home the prize, I should mention that they were both in the top four. Also, that they were delicious in my belly. Adorable. 🙂 You’re so witty and cute!